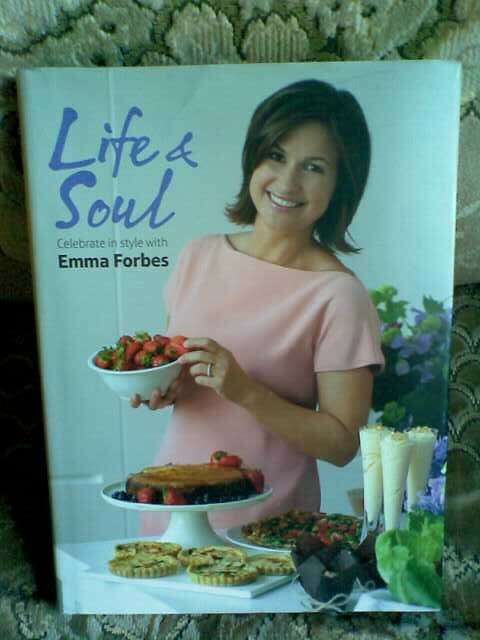 Last night we were invited to The Club at the Ivy in London to celebrate the launch of the lovely Emma Forbes new book, Life & Soul. Emma has her own website, ForbesStyle.com, which is a lifestyle online site which gives fresh inspirational advice on presents and parties for any occasion or age. Her book shares all her secrets on entertaining and celebrating in style-for anyone needing help or inspiration on hosting that all important party, her book is a must read!! The evening was a decadent and fun affair and Emma looked totally amazing, she was wearing a Dolce & Gabbana number which was fabulous!! It was also lovely to see again the fabulous Mrs TNMA too, we had a fun filled evening with drinks and canapes a plenty which were totally divine-I loved the mini shepherds pies!! 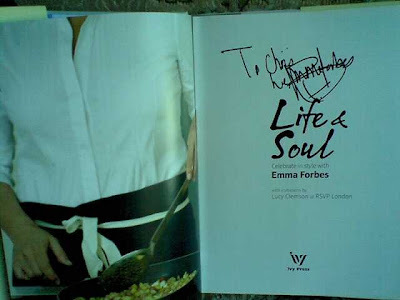 I was fortunate to receive a copy of Emma's book and hubby managed to get it signed-for him!! A very big thanks to Halpern for the invite too, it really was a fun filled glamorous evening and I wish Emma a lot of success with the new book too!! The snakeskin clutch makes quite a statement! It really does sound like a charming evening. Kudos to your husband for snagging that autograph. Really good to see you last night - thanks for the mention - and sorry for my drunken rambling. Too much free wine & not enough vegetarian food! Hope to see you soon. My inbox is full! Just clearing, so please try again. Sounds really fun. She looks amazing. I love the jacket and bag. Very interesting post. I´m intrigued by the book. I visited her site and it´s full of helpful style tips too. really sounds like a wonderful event, my dear! You thrifted a Valentino lace tuxedo jacket??? 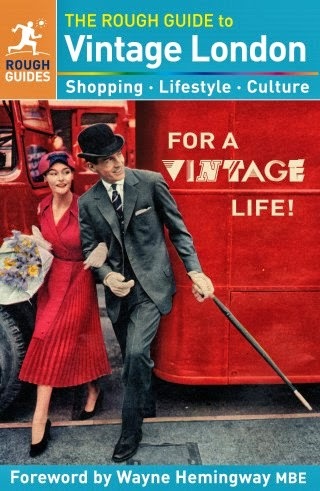 I need to go shopping with you! Looks like a fab outfit! Great clutch. Wow, sounds a great evening! I haven't heard of her in ages! That tuxedo seems a great find! ...and I'm having a little giveaway which you are welcome to enter if you want?! Simply a smiling visitor here to share the love (:, btw outstanding pattern. "Treat the other man's faith gently it is all he has to believe with." by Athenus. Of course that's fine Sharon, of course you can enter, but you have to tell me your favourite book! Love the clutch and the jacket! It looks like a fantastic evening and you got the book sign by the author that is just the icing on the cupcake. wow!!! emma forbes is really stunning, she had great outfit too. her book seems amazing i wish i could have one and have it signed by her too... i admire you for loving your hubby so much... you are really a great person!!! 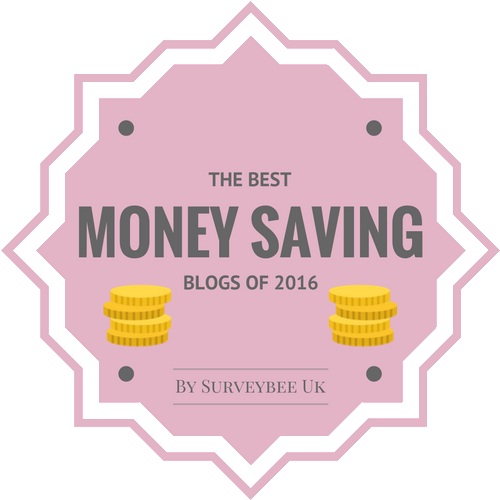 enjoyed your blog..following you now.. hope you could visit my blog too... kissess!!! !